Born 1965, Roy REDING joined the Luxembourg bar in 1990 , after obtaining his “ master in business law” ( University of Strasbourg – France) and a first experience as in-house lawyer with then BANQUE GENERALE DU LUXEMBOURG SA. In 1993 he established is own law firm ( REDING & FELTEN) and is concentrating on litigation , real estate and family-office activities since 2003. 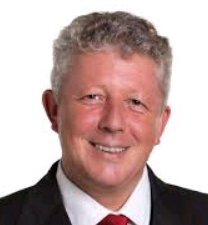 He acted during long years as “ justice of the Peace” and became member of Luxembourg Parliament in 2013.